At Wisconsin Lifting Specialists we understand that no two lifts are alike; and that is why we specialize in making a wide range of lifting slings for every application. We stock a large inventory of commonly used slings and manufacture custom slings daily in house for our customers demanding applications. 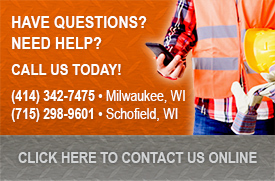 Contact Wisconsin Lifting Specialists today for a quote or consult for your next lift application.